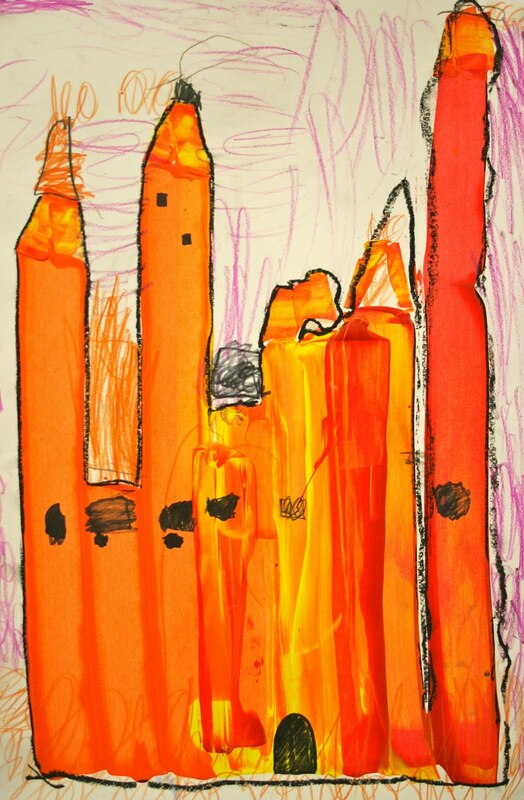 I saw this project on another art teacher blog last year and thought it would be a great way to introduce students to the concept of using alternative tools for creating a painting rather than the traditional paint brush. 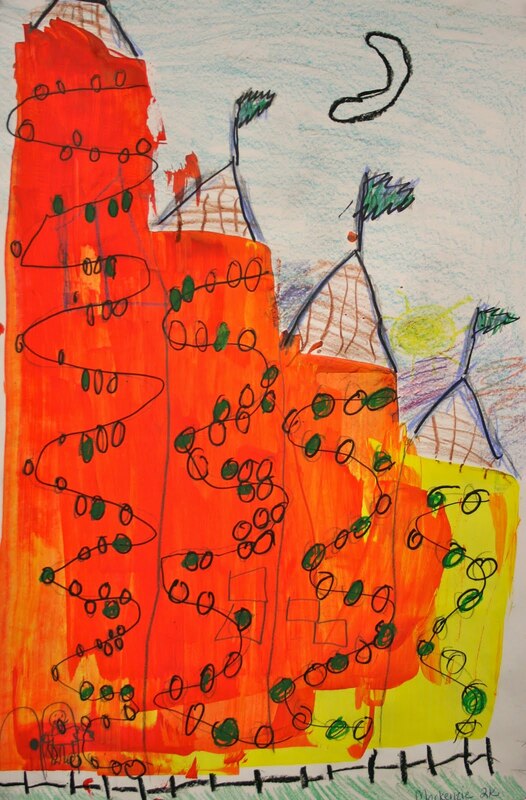 In this case students used pieces of cardboard cut into strips to pull acrylic paint across their paper. 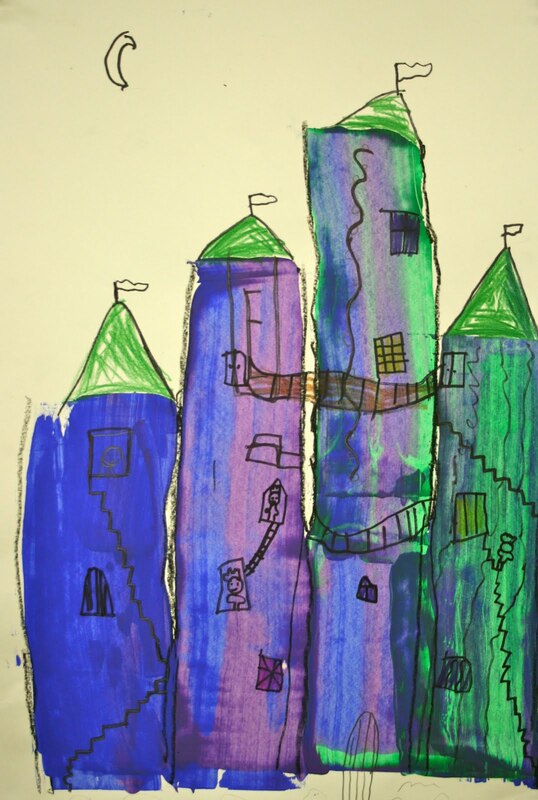 The resulting shape was the structure of a castle. 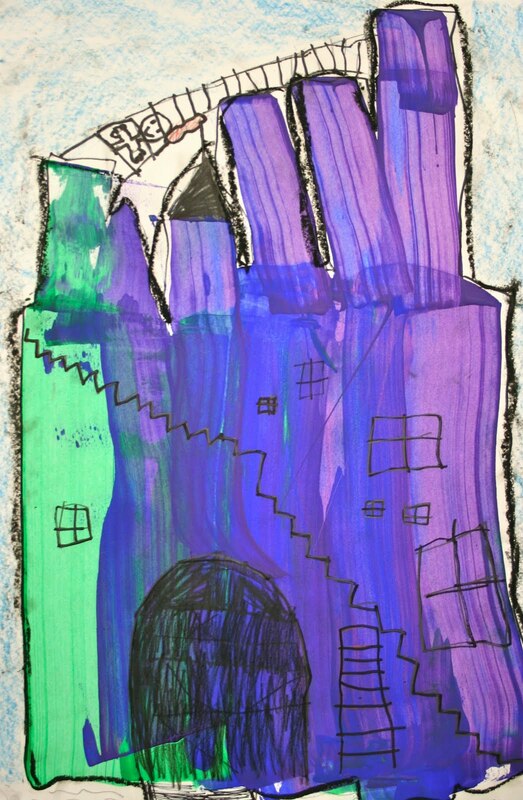 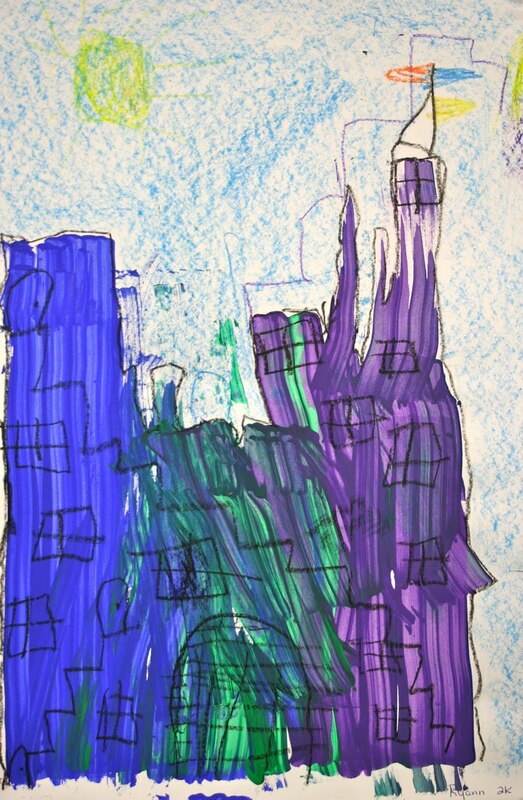 Details such as doors, windows, gates, moats, stairs, vines and bricks were added using crayon and oil pastel.